Nobody likes paying full price for airline tickets, but sometimes you don’t have a choice. Maybe there are no award seats available, or a trip comes up last minute. So how do you find the cheapest airfare without searching every airline individually? There are a lot of 3rd-party websites, like Orbitz or Expedia, to choose from. But I’ve found Google Flights is a great way to find cheap flights and it’s got some pretty cool features, too! We often write about cheap flights and discounted award deals, so subscribe to our newsletter if you want to get the details delivered to your inbox. Or follow us on Twitter to get them right away. Google Flights is a powerful airfare search engine, with it you can do so much more than just basic city to city searches. It allows you to search for cheap fares over entire regions and a wide range of dates at the same time. You can also set price alerts and view airfare prices from your origin to cities across the entire map, all at once. If you’d like to learn how to set up a Google Flight price alert, check out this step-by-step guide. Suppose you don’t have a destination in mind but want to see airfares from your city. Type in your city name and date range, and a map will come up with sample fares to various cities. If the “Update results when map moves” feature is turned on (it’s on if it’s blue) then you can move around the map and zoom in or out to see prices to different cities. And if your dates are flexible you have the option of viewing the best prices over a range of dates. 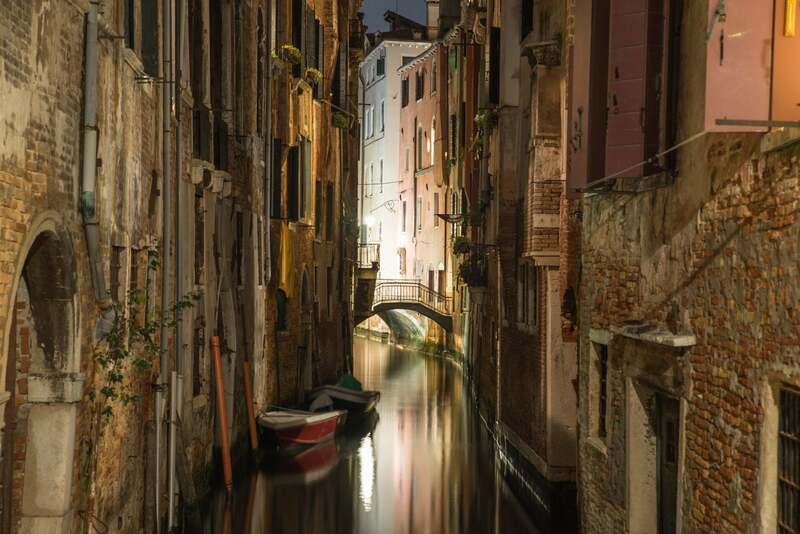 Just click on the dates box, then select “Flexible dates” and you’ll be able to view prices for a weekend, 1 week, or 2 week trip for a specific month or an entire 6 month period. I love using this feature to search for cheap flights to an entire continent because my travel dates are usually flexible. And once you get to Europe or Asia it’s easy to find cheap flights to your final destination. To see flights to a specific city, just click on that city. After that, click “View flights” and you’ll be brought to the standard Google Flights search. Here you can filter the results by the number of stops, specific airlines or alliances, departure or arrival time, and connecting airports. A really handy feature is that you can even add the number of carry-on bags you plan to carry to your search. So if the airline charges extra for a carry-on, it will already be factored into the price. Given that most airlines have Basic Economy fares, which usually don’t include the price of a carry-on, this will give you a better idea of which ticket is actually the cheapest. You can choose the departure and return flights you want and then you’ll be given the option to buy the flight from a number of different sites. One thing to be aware of when you’re booking your flight is that some credit cards award bonus miles or points for airfare, but that there are some restrictions when it comes to earning these bonuses. For example, with The Platinum Card® from American Express, you can earn 5X AMEX Membership Rewards points on airfare if it’s purchased directly with the airline or through the AMEX travel site. So purchases on other 3rd-party sites, like Priceline or Orbitz, won’t earn bonus points. Most of the best travel credit cards that earn bonus points on airfare or travel purchases don’t have such specifics restrictions. But be sure to double check so you don’t you miss out on your rewards. Google’s basic flight search has all of the standard features you’d expect, with a few extra bells and whistles that can help you find the best deals. 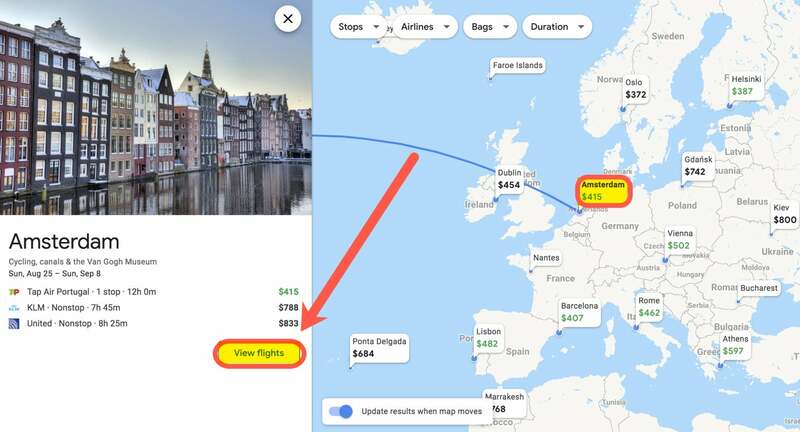 For example, when you search for flights there is a box at the bottom of the page that will tell you how the current prices you’re seeing compare to what that specific flight normally costs. 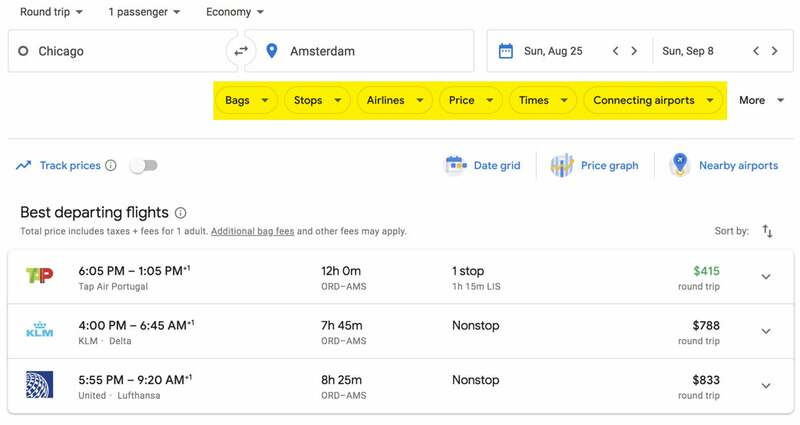 In this example, for a flight to Amsterdam, the price is what Google would expect – not a bad deal or an exceptional deal. 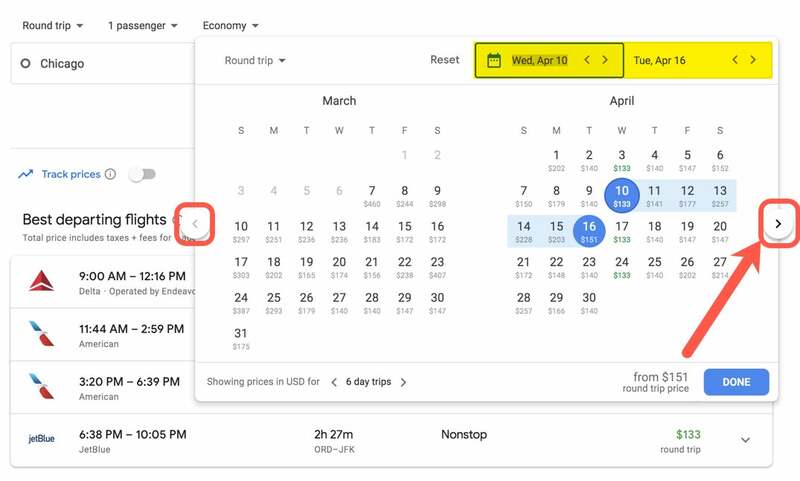 Google looks at airfare prices for the previous 12 months to your destination (and dates) to determine what they expect the price to be. You can also potentially save money by purchasing separate tickets on different airlines to your final destination. The potential drawback of this is that if you need to cancel or make changes you’ll have to pay the change or cancellation fees twice. But Google Flights allows you to search for or hide separate ticket itineraries. 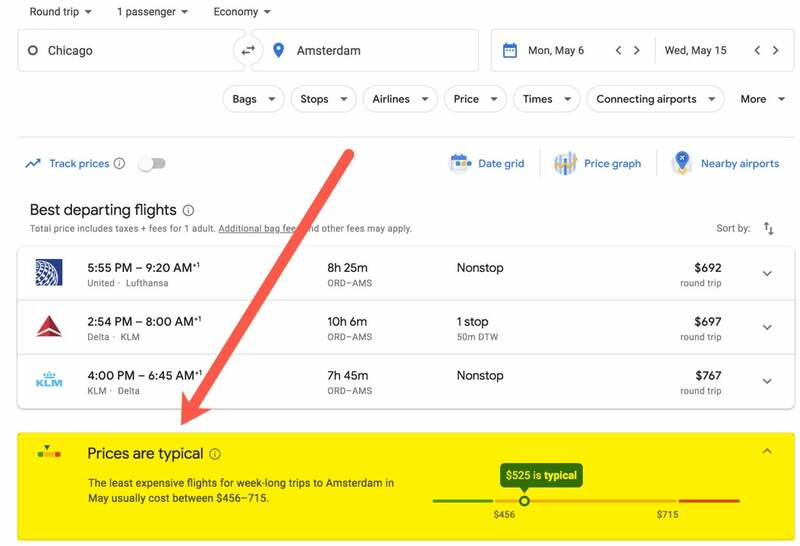 Google Flights has several different ways for you to quickly compare prices on different dates, times, and from different airports. Once you enter a city pair in the search you can easily scroll through the calendar to see the cheapest prices. Just click on the arrows on the left and right to see different months. You can also compare prices using a grid of dates. Just click on “Date grid” (see example below) where you enter your search information. Then a price grid, like the one below, will pop up. From there you can view a price graph. And you can view prices from alternate departure or arrival airports. As always, the key to finding the best deals is to be as flexible as possible. But even if you have a rigid schedule, Google Flights can quickly and easily help you locate the best prices for flights that work for you. If you get stuck, you can get help through the Google Flight support page. Google Flights is just a search tool. You can NOT book directly on the site. But the site searches very quickly, so even though you have to book elsewhere you’ll still save time. One downside is that you can’t search for Southwest flights, because Southwest prefers you search through their website directly. This is a big deal for anyone with a Southwest Companion Pass. So don’t forget to try your search on the Southwest website, too. If you want to be sure that you’re comparing the prices for every flight to your destination, a good trick to look up your destination’s airport on Wikipedia. For example, let’s say I want to find a flight to Columbus. 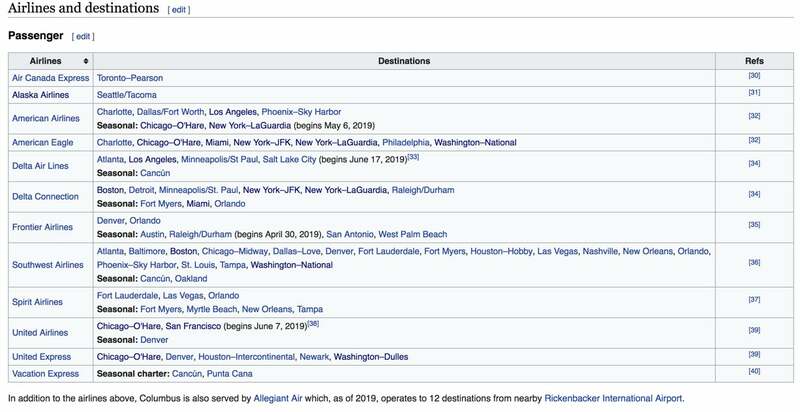 I can pull up the Wikipedia page for its airport, John Glenn Columbus International Airport, and scroll down to see a list of airlines that serve it. 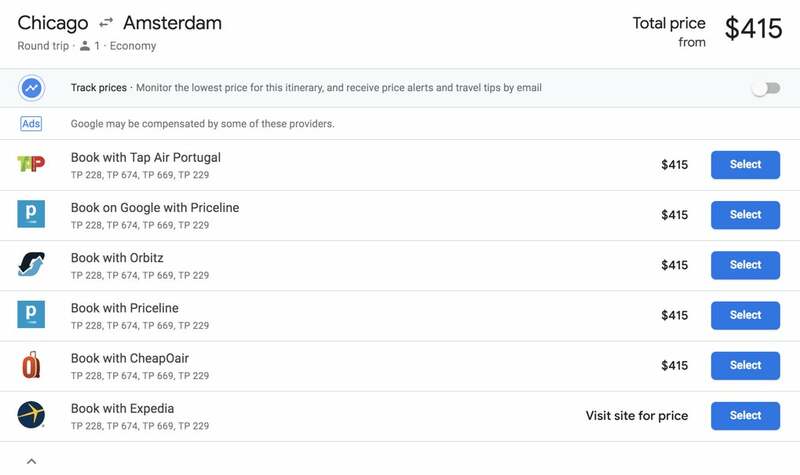 Once you know what airlines fly to your destination you can double check the prices for any that might not show up on Google Flights. Although, as far as I know, Southwest is the only major airline that is specifically blocked on Google Flights. If you know of any others, let me know in the comments and I’ll add them to the post. Google Flights is a great tool for finding the cheapest airfares. It’s fast and you can customize your search by using filters to narrow down your results. But Southwest flights are not included in Google Flights searches. So if you were planning on taking advantage of your Southwest Companion Pass or using Southwest to connect to a larger airport where you can find cheaper international flights, then you’ll need to be sure to search Southwest’s site directly. I find that Google Flights finds itineraries which are cheap but are not bookable as there is no availability in the booking class in which it priced it. 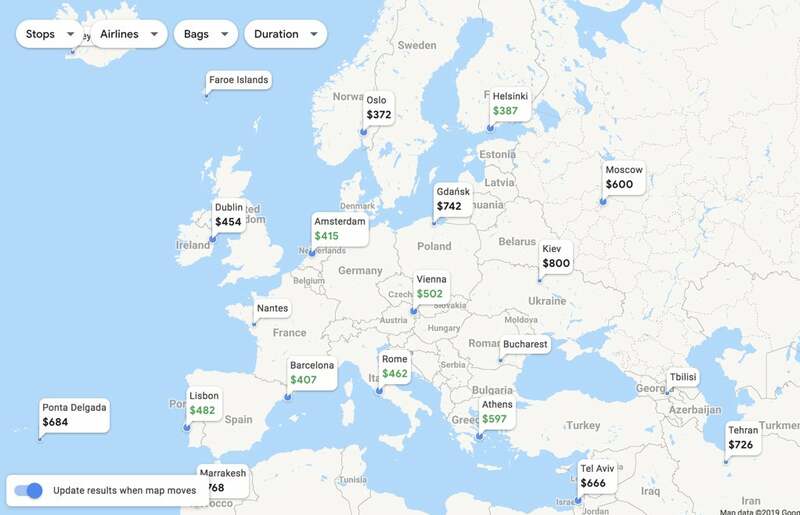 I have use Google Flights to find cheaper multi-segment itineraries, and it often comes up with cheaper prices that the airlines own websites do. It wlll then take me to the website (e.g. United.com) and I can then purchase the ticket; the reservation goes through and my card is authorized, but the itinerary is never ticketed, because one or more segments is not available (L was booked but not available on a partner flight), or are not permitted (P and Z on two connecting flights). Thank you for the comprehensive look at Google Flights. I had no idea it had so many features. 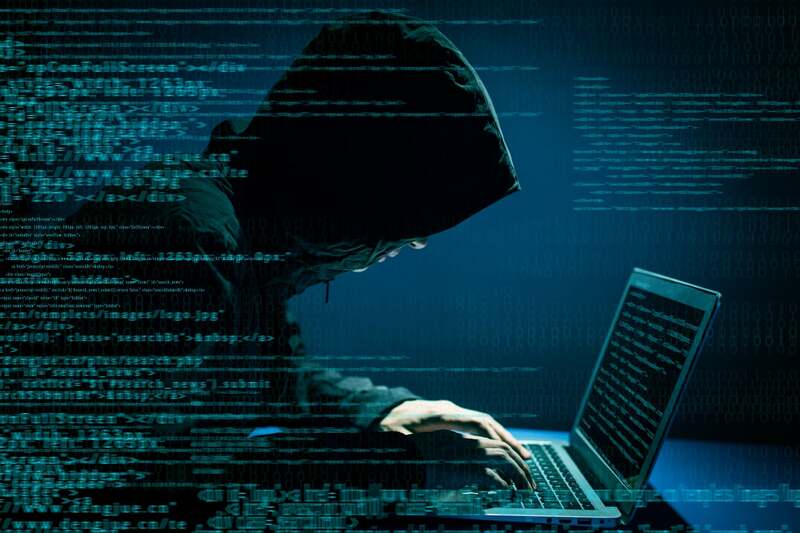 This was an special post with lots of good information. google flight can be confusing for travelers, Like i have been searching for flight leg from Karachi-Cedar Rapids-Chicago-New York- Karachi, Google show the air fare as like $ 676, only option available to book is with American Airlines, i proceeded untill the AA site ask for payment procedure. I called the AA local office in Karachi, for same itenrary they came up with &1400 almost. Same itenrary on other sites like orbitz, travelocity etc falls in the same price slab of $1400 e.g. Orbits came up with $1378 , kayak 1329.. THE PRICE CHART FEATURE AND PRICING BY DATE HAS BEEN REMOVED FROM GOOGLE FLIGHTS!! !